It was a prom night to remember, with red carpets, paparazzi, dinner and dancing. 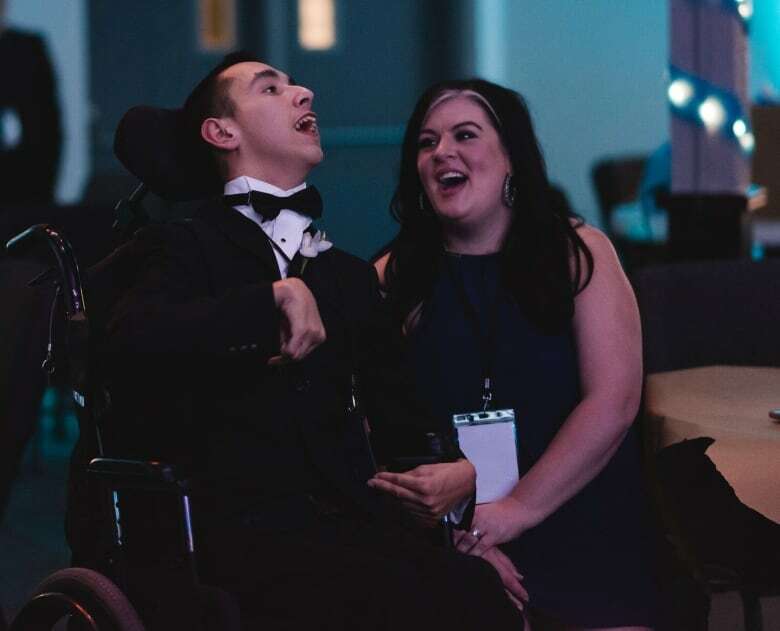 The Night to Shine is an event for people with special needs, designed not only to accommodate, but to make every attendee feel special. Hosted by Glad Tidings Church in Moncton on Friday night, the event was attended by nearly 60 guests of honour, mostly high school age. “This is a unique experience,” said organizer Jennie Baker, who is also the family life ministry pastor at the church. Guests were greeted with corsages and boutonnières on a red carpet and introduced to their buddies for the evening. They proceeded through the church with an honour guard of RCMP in red serge and paparazzi snapping photos. “Anything that we can really do to fuss over them and show them how much we care about them,” said Baker. She added that every honoured guest is crowned as king and queen of the prom. The rest of the evening was filled with dinner customized for every dietary requirement, dancing, games, karaoke and limo rides. Hair, makeup and shoe shine services were provided too. There was also a room for parents and a sensory friendly room for guests who were overwhelmed by noise. Two health professionals were on hand to offer support, along with around 165 volunteers helping in various roles. Baker said a special care home with 19 residents attended. It’s the first time every resident has ever been able to come to an event, as it’s an event that caters specifically to their needs. 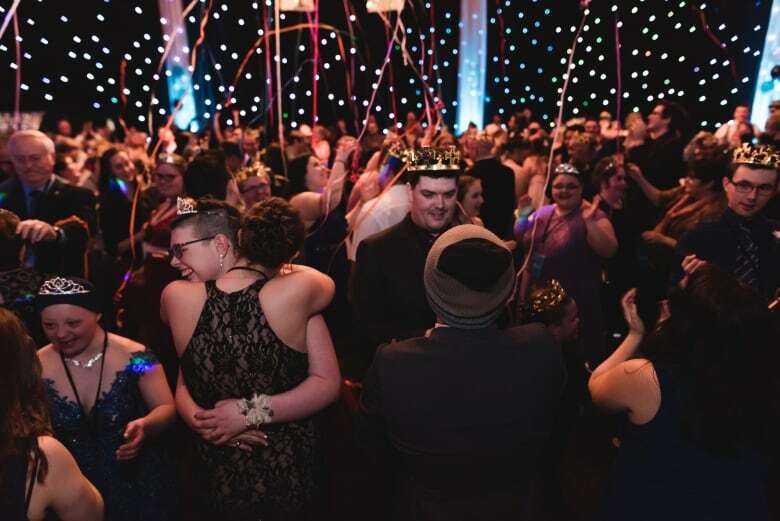 Event organizers helped guests find dresses or suits before the big day, with help from local organizations like Prom Pretty in Moncton that have 200 dresses available to anyone for any prom. While most guests were in their teens, some were people in their 40s or 50s who, for whatever reason, weren’t able to attend prom when they were young. Baker said she took a woman in her 40s for a dress-fitting two days before the event. Three professional photographers and a videographer were there to capture some special moments. 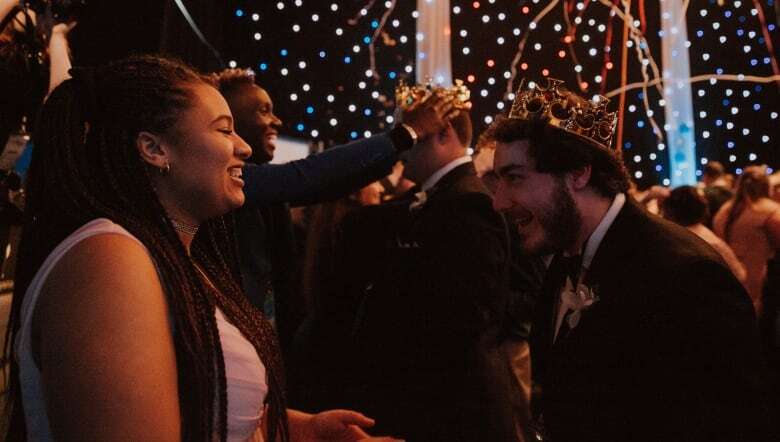 The event was sponsored by the Tim Tebow Foundation,which hosted proms for about 100,000 special needs people in more than 650 churches this year. This is the fifth year the foundation has put on these events. The foundation gave the church $5,000 to help fund the event, but Baker said they spent much more than that to make the evening as special and memorable as possible for the guests. Each year, the Time Tebow Foundation gathers clips from the proms it supports to be part of an international prom video. Baker hopes this prom will be included.